Every rescue has a wish list (or should have). What do the Goldens need? More foster care volunteers – Especially people who will take a shelter dog that we know nothing about and help figure it out; having no other dogs can be a plus. Also, SAGRR foster care volunteers with medical experience to rehab dogs recovering from surgeries and illness. Volunteers to gift wrap at Barnes & Noble (Broadway). This is a big fundraising opportunity and you will be paired with a seasoned volunteer. Help is needed from Black Friday to Christmas Eve. Need more team members to pick up dogs, take to new homes, vet appointments, etc. Can you help spread the word that SAGRR is here and will take any Golden no matter how old or sick (have taken blind, cancer or other hospice dogs), as long as the dog is not aggressive. SAGRR takes dogs of all ages and gets many adolescents who are just out of control or have behavior issues. 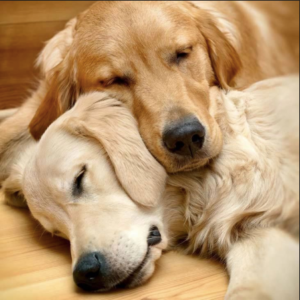 SAGRR hosts educational programs for families who already have Goldens; programs are open to the public. On many occasions we have been able to help a family solve a problem with their dog by providing references to trainers, doggie day cares and other resources. SAGRR loves when someone truly wants to keep their dog but doesn’t know how and we can help them. Volunteers/members who already have Goldens and want to be involved. 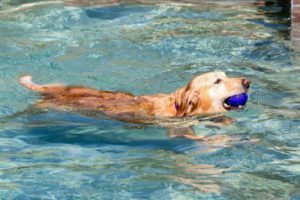 We have multiple social events for goldens each year, including a Puppy Party (for all ages), a Pool Party and a monthly doggie book club.